Get a variety of Fruits and slice them, apples and oranges are most commonly used but be creative. Mix all ingredients except the Soda water in a large bowl or pitcher and stir well. 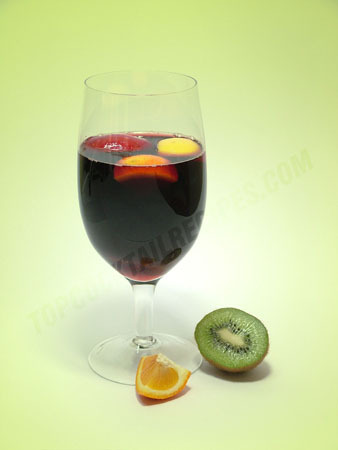 Pour into a wine glass over ice cubes and add Soda Water to taste.